Porsche has renewed its contract with Formula 1® for another three years. Accordingly, the Porsche Mobil 1 Supercup and the national Porsche one-make race series will continue to run as support to Formula 1® races in the future. In 2017, both partners have good reason to celebrate with the successful partnership heading into its 25th season. “The 25th anniversary underlines our extraordinary and trusted partnership with the FIA Formula One World ChampionshipTM. The contract extension in this premium setting allows us as the series organiser to offer our teams a solid basis for long-term planning,” declares Dr Frank-Steffen Walliser, Head of Porsche Motorsport and GT Vehicles. Commenting on the new contract, Bernie Ecclestone said: “We appreciate the association with Porsche as they are a dedicated and reliable partner. The Porsche Mobil 1 Supercup has established itself as a regular fixture on the Formula 1® support programme and is a part of the show.” In the 2017 season, the Porsche Mobil 1 Supercup will again be contested at eight European Formula 1® races as well as one overseas event. The series is regarded as the flagship of Porsche’s current 20 one-make race series worldwide, and allows participants equal chances with identical vehicles as well as the opportunity to advance into a professional motor racing career. 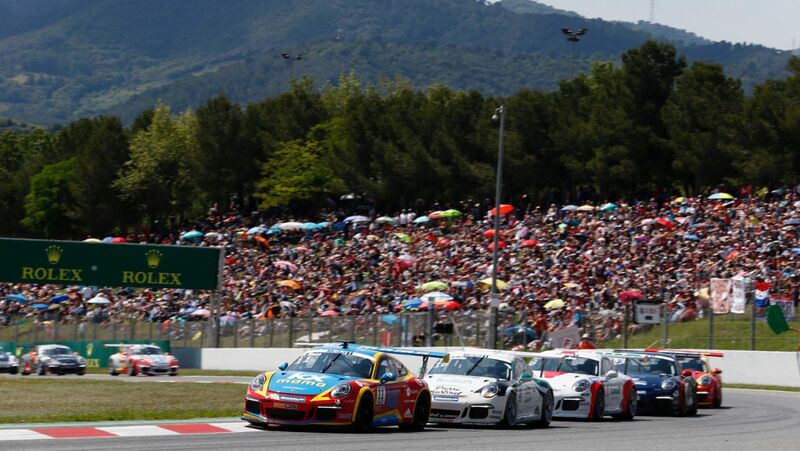 “The three-year contract not only provides the foundation for the international Porsche Mobil 1 Supercup, but also forms the basis for the national Porsche one-make race series, which are also almost exclusively run alongside Formula 1® events on other continents,” says Michael Dreiser, Head of Porsche’s one-make race series. For the anniversary year of the Porsche Mobil 1 Supercup a new race car will line-up on the grid: The new 911 GT3 Cup celebrates its world debut at the Paris Motor Show on 29 September 2016.